After Mobilink, Zong becomes the second operator in Pakistan to officially support SMS-based access to twitter services in Pakistan. 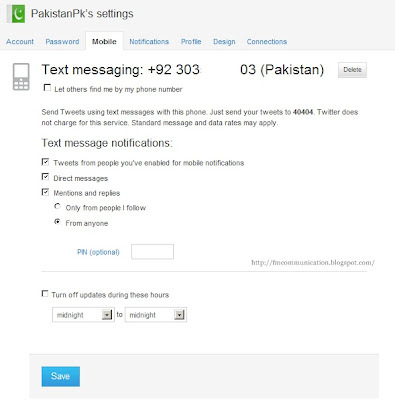 Zong customers in Pakistan can now send and receive tweets via SMS. With the inclusion of Mobilink and Zong in the Twitter’s list of official carriers, while others gonna follow this, there are good chances of boost in Twitter usage in the country. 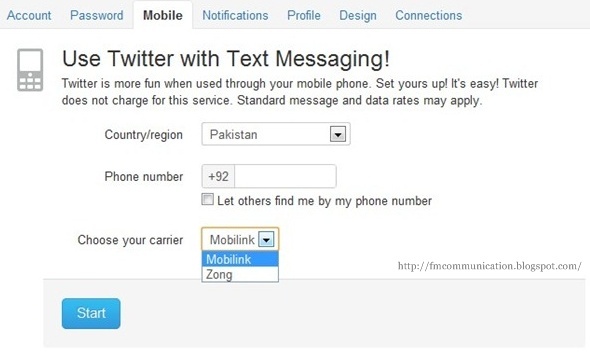 Zong to Twitter Tariff: Charges for sending SMS to 40404 is Rs. 1 plus tax. Twitter to Zong Tariff: This Service is Free. First thing: For now, you need to have a Zong connection (assuming you are already a twitter account holder). Enter your phone number and select ‘Zong’ as carrier from drop down list and follow the wizard to complete registration.